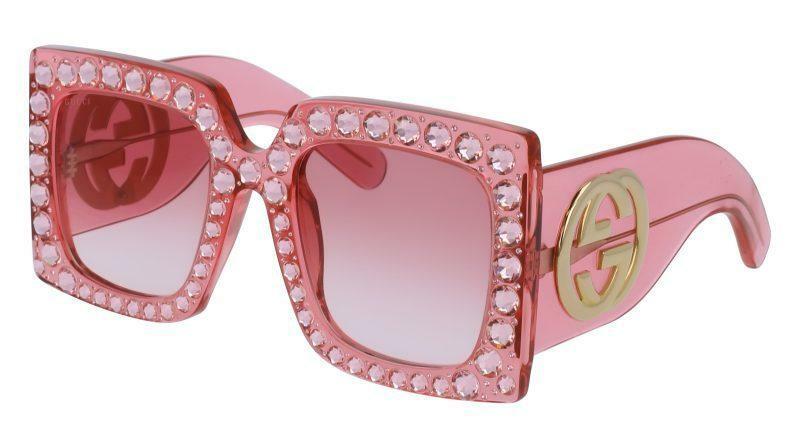 Go get your Gucci glasses for your Instagram moment! 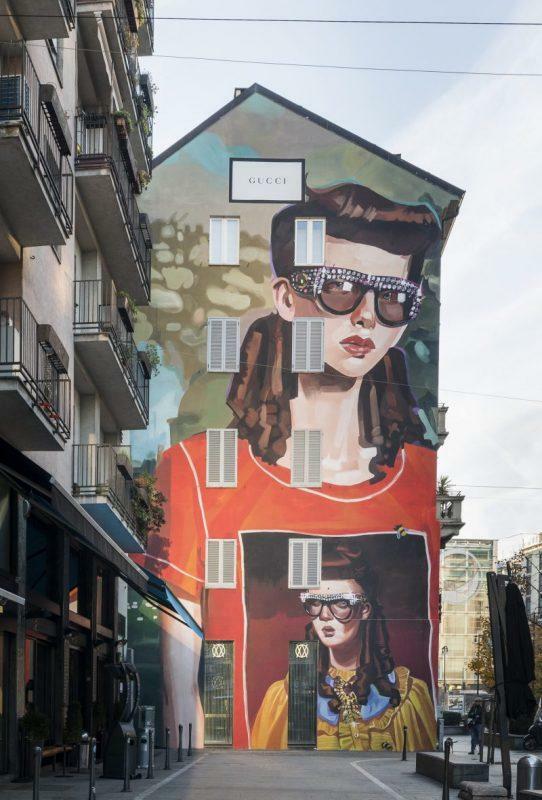 The Italian luxury brand has been turning out some seriously appealing advertising murals on buildings in New York and Milan and their latest iteration is a brilliant social media play. The label’s new Art Wall project covers a wall on New York City’s Lafayette Street in SoHo and a wall in Milan’s Largo la Foppa in the Corso Garibaldi district, which have both become regular canvasses for Gucci’s artist collabs. 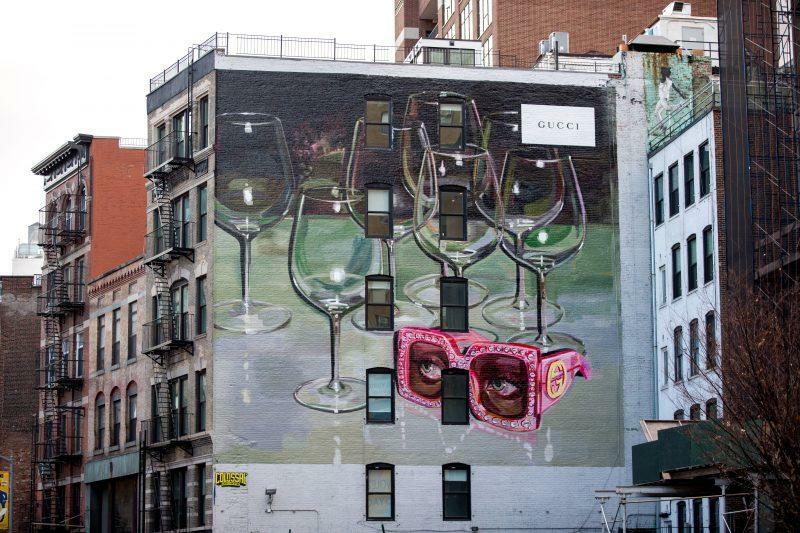 This time, Spanish artist Ignasi Monreal has created two interpretations of Gucci’s Hollywood Forever eyewear range encouraging customers to buy their own pair and perhaps pose next to the mural. The artworks were executed in New York by Colossal Media and in Milan by the European leader in out-of-home advertising, Urban Vision. The Gucci Art Walls will be on display until the end of January 2018.